How bored are you? Bored enough to toss Cheerios from a spoon into a bowl? Electronically? If so, play the Honey Nut Cheerios Non-Challenge Instant Win Game. 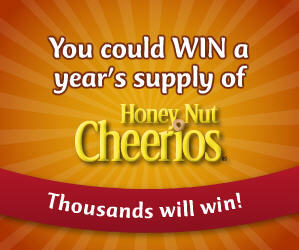 You can win a year's supply of Honey Nut Cheerios, instantly!